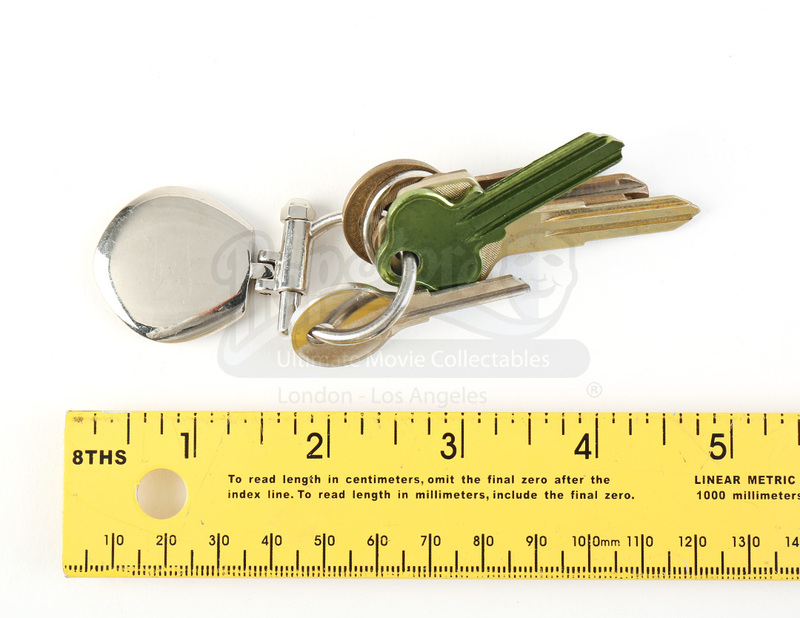 Linda's (Jennifer Aniston) keys from the 2012 David Wain romantic comedy, Wanderlust. In the film, George and his wife Linda (Jennifer Aniston) decide to leave New York City and experiment living in a free love commune. Linda uses her keys when she returns home after her meeting with HBO to discuss her documentary. The set consists of six different keys, varying in colors of silver, brass and green. 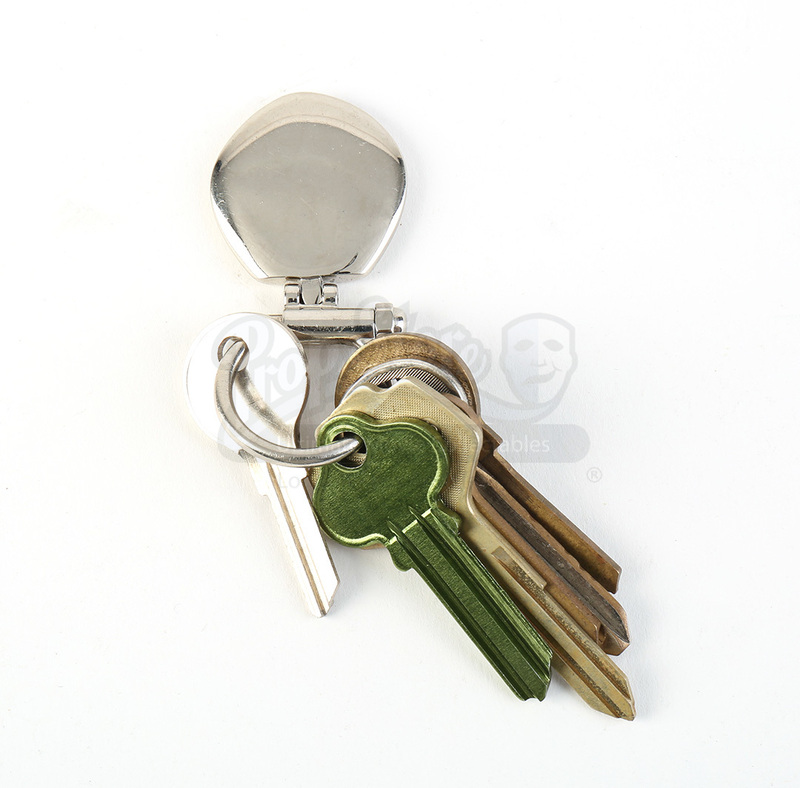 The keys are looped onto a key ring with a silver pendant. The keys show minimal signs of wear and remain in great, production-used condition.